When in doubt, grab a belt! When I took this Dark Blooms Dress out of the package I was super excited about it being a shift dress, then I tried it on and let’s just say it wasn’t a good look, but a belt easily fixed that problem! We all know I have a bit of a floral obsession, but all of the floral pieces currently in my closet are more appropriate for Spring & Summer! 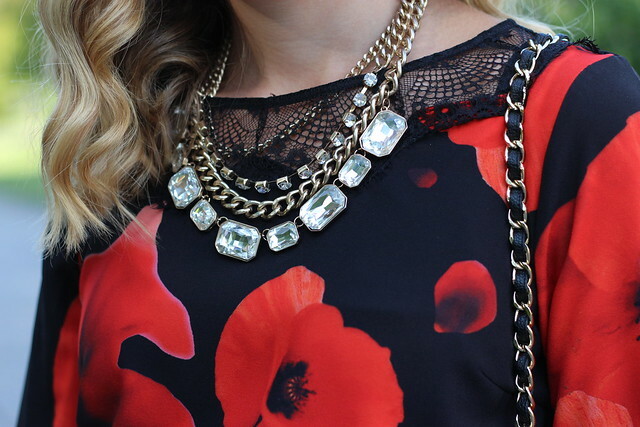 So glad I can carry my floral obsession into Fall (& Winter) with this red & black pattern! 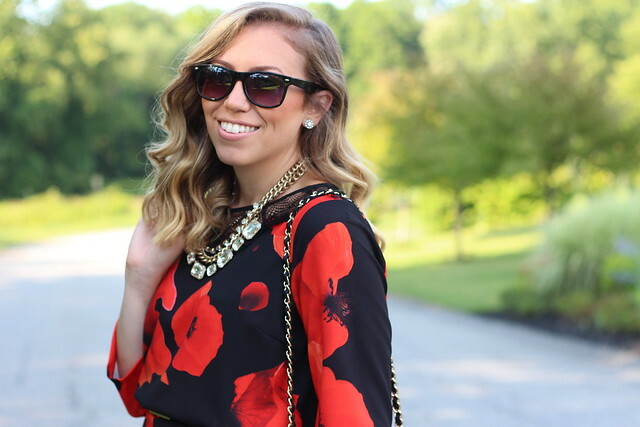 For the second way to wear Fall Florals make sure to check out Alicia’s blog! Don’t miss our last Wear & Share post with an awesome trapeze blouse! What are you pairing your Chili’s At Home Frozen Meal with?